The best way to promote your Drip is — well — always. Include a link to it wherever you share work, mention it in conversations with friends, on stage during performances, put it in the footer of your email, start off each episode of your podcast with it, and any other way that you can get creative about mentioning it. Be clear, be concise, and talk to people about WHY this is meaningful to you, in addition to what cool things they stand to get in return. 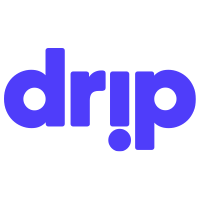 It's important to note that, while tweets and Instagram shares are always good, the best way to inspire people to support you on Drip is to talk about it in context of the work that you do. Above all: promotion should be a continuous activity.